Since 1992 HRSD has provided municipal environmental services to Virginia government agencies, sharing technical expertise and resources. More than 50 agencies have benefited from environmental monitoring and analysis, training and consulting—all provided at cost. Our fee structure is based on reimbursement for services performed, without profit to HRSD or cost to our ratepayers. The Municipal Assistance Program offers full-service capabilities for the following Virginia regulatory monitoring programs: Virginia Pollutant Discharge Elimination System (VPDES) permits, stormwater, groundwater, industrial pretreatment, ambient water quality, and solid waste as well as air. Highly qualified staff in our Water Quality Department develop sampling and analytical plans, conduct sampling and field monitoring, and provide consultation on water quality, permit compliance, and air monitoring. Our laboratory, the largest of its kind in Virginia, performs comprehensive analytical services, quality assurance evaluation, and consultation on analytical methods and data interpretation. To offer high-quality, legally defensible data, the laboratory maintains a quality assurance program and uses methods and procedures in compliance with state and/or federal regulations and guidelines. Since our inception in 1940, HRSD has demonstrated consistent, exemplary compliance with federal and state regulations. The laboratory maintains compliance with the Virginia Department of Environmental Quality (DEQ) to perform wastewater analyses. In recognition of our expertise, the U.S. Environmental Protection Agency (EPA) routinely requests HRSD to perform new method validation studies. For additional information or to share your comments, please e-mail Danny Barker, Environmental Scientist, at dbarker@hrsd.com or call 757-460-4247. Services are available for monitoring and analysis, as required by DEQ-issued VPDES permits, including permit application and routine monitoring for Discharge Monitoring Reports (DMRs). General services encompass organic, inorganic, and microbiological analyses. Low-level sampling and analytical techniques are used to monitor for organics, metals, and mercury. 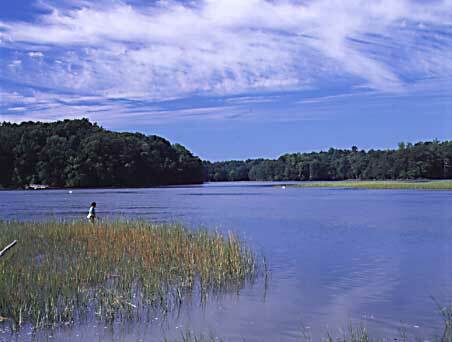 All sampling and analyses for VPDES permits comply with federal Clean Water Act provisions. Monitoring and analyses of stormwater runoff and illicit discharges are conducted according to National Pollutant Discharge Elimination System (NPDES) and VPDES permit programs for Clean Water Act compliance. Runoff samples are analyzed for conventional pollutants. Monitoring is conducted using methods approved under Title 40 CFR Part 136 or alternate methods approved by EPA or the appropriate state regulatory agency. Monitoring of the groundwater system at landfills and other disposal sites is performed according to Virginia Solid Waste Management Regulations (Title 9 Chapter 80). Sampling and analyses of wastewater discharged from industries and businesses comply with Title 40 CFR Part 136 guidelines. Title 40 CFR Part 403 regulations govern services for permitting, compliance monitoring, enforcement, and surcharge assessment of industrial and commercial facilities. Other services include consultation and development of plans for industrial wastewater discharge permit programs, enforcement response, and Best Management Practices (BMP) assessment. Sampling and analyses of process streams and ambient waters identify sources of inorganic and organic pollutants and monitor for biological indicators of water quality. Methods are selected based on regulatory requirements and reporting levels for each project. Analyses are performed for a variety of solid waste samples such as soil, biosolids, and incinerator ash (including the Toxicity Characteristic Leaching Procedure), according to EPA SW-846. Monitoring complies with Title 40 CFR Part 503 standards and Resource Conservation and Recovery Act (RCRA) requirements. Air monitoring programs are conducted in compliance with state and federal regulations for air quality emissions according to Title 60 FR Reference Method 9. Programs include air sampling and analysis, odor monitoring, odor control performance evaluations, and visible emissions evaluations. Typically, data are provided within 14 days. For DMRs, data are provided by the 1st of the following month. Generally, we recommend that properly trained personnel collect samples requiring low-level analysis. However, we can provide the necessary training, equipment, and other supplies needed for sample collection if requested. Clean sampling techniques are essential to obtain representative and accurate data. Samples can be shipped in the containers we provide. HRSD provides municipal environmental services at cost. Therefore, the actual costs may vary from the estimate. HRSD cost estimates are generally consistent with, or slightly greater than, actual costs. If unforeseen issues arise that would significantly increase the total costs, HRSD will request a purchase order change before performing additional services. The municipality will be billed only for the actual costs incurred. Courier service can be provided for routine sample pickups. Please contact Danny Barker, Environmental Scientist, at dbarker@hrsd.com or (757) 460-4247 for more information or to request services.